Gidday I’m Peter Edser Owner/Operator of High Country Safaris Pty Ltd. I have been an active hunter all my life. 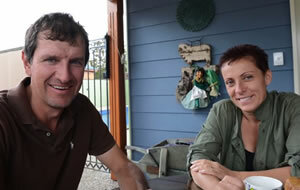 Together with my wife Georgie we own & manage a red deer safari ranch in the Brisbane Valley (Home of Queensland red stag ) Also in conjunction with our New Zealand outfitter we manage a red deer breeding herd in New Zealand. Both properties provide SCI gold medal stags. Our vision is to provide you with a memorable & unforgettable hunting experience combined with the very best meals & 1st rate accommodation. Only great results will bring you all back for more hunting adventures.